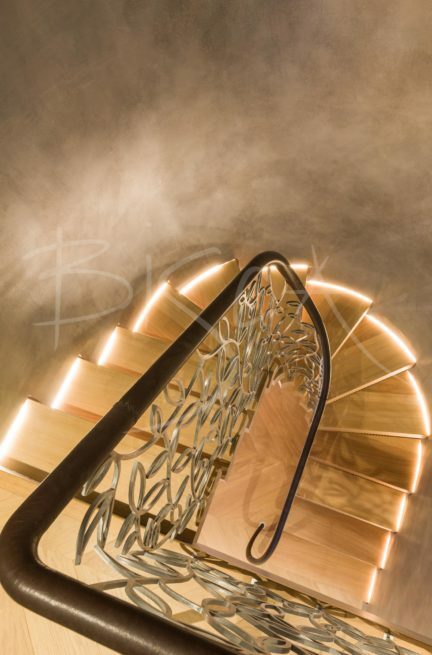 Bisca’s alternative to a spiral staircase designed for a London Mews property. As is often the case with a Mews property, space can be tight. As part of a major refurbishment the architect put a spiral in the space. Our client disliked the idea of using a spiral in every day and asked us what the alternatives were. Our cantilevered oak helical with steel balustrade uses every mm of available space. The cantilever is easier to use and looks better than the proposed spiral. 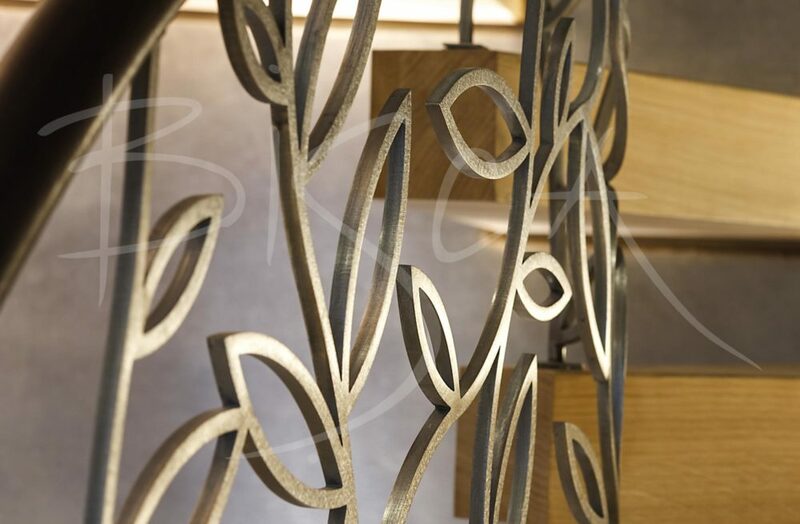 Treads are of English oak, with an intricate stainless-steel leaf balustrade. Feature lighting within hidden fixings is part of the stair design. 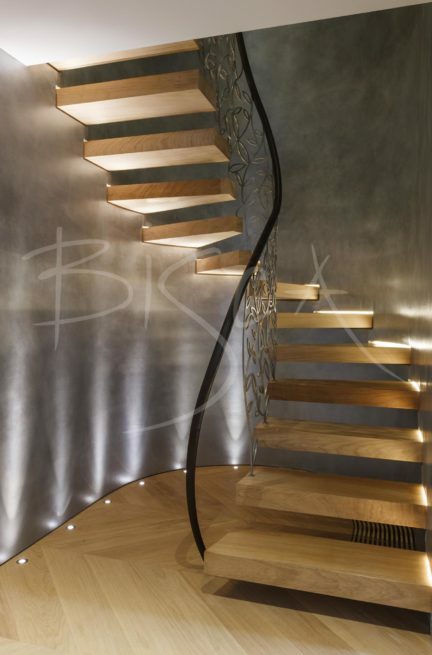 The lights, when combined with the metallic wall finish, lights up the stairwell. Each of the “leaves” is hand polished and finished around its edges. A deep brown leather handrail completes the balustrade design. 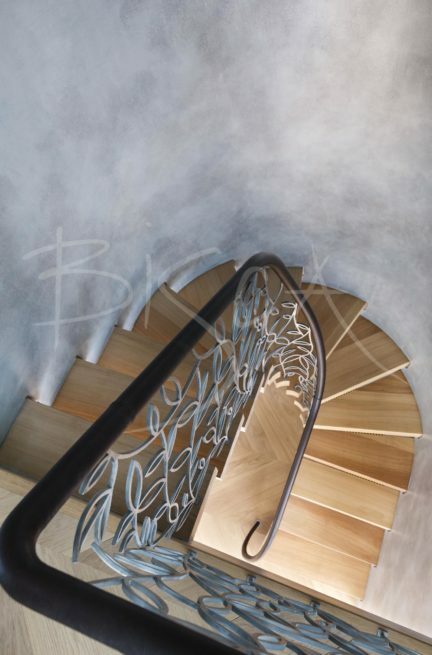 If you would like to explore other options for a spiral staircase, or alternatives please give us a call. For a design based on this staircase and balustrade please quote reference 3241.